Many persons who come to my website think that I write articles like this because I like controversy and seek to go against the established teachings out of the religious system called Christianity. Writing in any manner that disagrees with someone elses strongly held views automatically breed controversy. One does not have to look for it if, by any chance, they were seeking it. Yet, nothing can be further from the truth. I write because I am a very concerned person. I am concerned because what I have seen (and still see), know and experienced within the religious system called Christianity is not in harmony with the things that Christ taught. In fact, what I see is an outright defiant posture by that religious system to Christs teachings. It itself wants to be viewed as an authority and listened to. When a teaching of Christ is presented to it that is not in line with its established practices and teachings, it yells loudly that the presenter is wrong or is an apostate or an ungodly unbeliever. It goes on the offensive by giving sermons, writing articles on websites or making posts in religious forums to bring anyone one curious within their flocks back in line. In reality, preventing them from considering anything different from what they have been teaching. Christianity is a masterful blocker and concealer of the truth being told and heard. Masterful! This religious system called by men – Christianity – wants to be revered, worshiped and held supreme above even God and Christ while at the same time posing as an entity that is humble and subservient. The content that follows is another example of a teaching and practice that has issued forth out of Christianity that does not follow the practice of the Master: Christ. Did you know that Jesus never used the names of Jehovah or Yahweh (or any other name) when addressing his God and Father in heaven? Never. In all instances when addressing God, Jesus used the expression, Father. When I was one of Jehovah’s Witnesses (for more than 25 years), it was inculcated in me that I must use the name of Jehovah even if I did not know the correct pronunciation of the name. I was taught that the important thing was to use the name. Has another great misstep been made by the Watch Tower and other religious organizations in believing and teaching that one must use the names commonly used to identify God’s name such as Jehovah, Yahweh, Jah or even Allah? Do you have a close relationship with anyone whose personal name you do not know? For people to whom God is nameless he is often merely an impersonal force, not a real person, not someone that they know and love and to whom they can speak from the heart in prayer. If they do pray, their prayers are merely a ritual, a formalistic repetition of memorized expressions. No human today can be certain how it was originally pronounced in Hebrew. Therefore, if we do not know how Gods name was pronounced, why would one just make up a name and teach that it is Gods name and that it must be used? Symeon has related thoroughly how God for the first time turned his attention to the nations to take out of them a people for his name. There are over 6800 references to the Tetragrammaton YHWH or JHWH from Genesis to Malachi or what is commonly known as the Old Testament (Hebrew Scriptures). Within the “Old Testament,” the expression Father is used only about a dozen times with reference to God. And, of those dozen or so cases, the term is used with reference to God’s relationship with Israel as a people, and not of his relationship to the individual. It is only with the coming of God’s Son and his relation of his Father that this intimate relationship really comes to the fore. The WTBTS’s New World Translation Bible inserts the name “Jehovah” into its writings 237 times and it has done so without sound basis. When I was a Jehovah’s Witness, I never challenged this. It was something that never entered my mind. This same mentality is possessed by Jehovah’s Witnesses to this day. They do not know that insertion of the name “Jehovah” into what is called “The New Testament” (Greek Scriptures) is not found in any ancient manuscript. However, what is prominently there in the Greek Scriptures (New Testament) is the God being addressed as Father. It is there more than 260 times! Contrary to what my former Brethren and Sistren have been taught, Jesus consistently and always addressed God as “Father” and NEVER as “Jehovah!” So the common practice of Jehovah’s Witnesses when addressing God in prayer as “Jehovah,” does not follow the practice of God’s Son. So, when Jesus prays to his Father, saying “Father, glorify your name,” it is evident that the expression “name” is here used in its fuller, deeper sense as representing the Person himself. It is the defiant religious system (and impostor) called by men – Christianity – that teaches its members to follow THEIR example. Let’s not play games here: The Watch Tower Bible and Tract Society claims that it is the repository of truth. OK, then let’s speak truthfully and factually. The writers of the Greek Scriptures (New Testament) – who were Jewish – wrote in Greek, the most influential and widely used language of the time. None of the original writings remain, but there are copies of the entire body of the Greek Scriptures dating back to the fourth century A.D. However, the only place we find any mention of some form of the name represented by the Tetragrammaton YHWH is in Revelation chapter 19:1, 3, 4, and 6; and there we find the Greek expression: Alleluia, meaning “Praise Yah [or Jah]. What is remarkable is that beyond these four instances of that abbreviated form in Revelation, nowhere else in the ancient copies of the Greek Scriptures do we find a single occurrence of this name. There is an estimated 5000 existing copies of the ancient Greek Scriptures and the fact that not one single copy contains the Tetragrammaton YHWH is all the more impressive! So the question is: Did the early followers of Christ use a name? It should be clear to the reader that they did not. By contrast, if we look that the New World Translation of the Bible, we see the name Jehovah appearing 237 times in the Greek Scriptures. So if the ancient Greek Scriptures never contained the full representation of the Tetragrammaton, why would the WTBTS insert the name? Answer: The organization just did it without any support from the ancient Greek Scriptures. When I was one of Jehovah’s Witnesses, it was simply accepted that the name of Jehovah should be there and the claim by the WTBTS is that Greek Scripture writers Matthew, Mark, Luke, John, Paul, Peter, James, and Jude used the Tetragrammaton in the original writings. Obviously, this cannot be proved. None of the 5000 copies that do exist contain the Tetragrammaton. The Watch Tower’s claim is that the name must have been removed from the later copies of the original writings. This is a dangerous game that the WTBTS is playing. If Christ NEVER used a name when addressing his Father; if the name of Jehovah did not and does not appear anywhere in the copies of the ancient Greek Scriptures; why the insistence that it must have been removed? Could it be that Christ never used a name and neither did his disciples who he taught? This seems consistent with Christ’s teachings and examples. Why would any organization so strongly insist that God’s name is Jehovah or Yahweh when there is not one single occurrence of the name in the existing 5000 copies of the Greek Scriptures? I just do not believe men should elevate themselves above God and Christ. And, I personally refuse to be lured into practices and teachings that come out of any religious organization that does not follow the pattern of Christ’s teachings. And, I become very suspicious when any religious organization would want one too. It should never be a matter of practicing or doing something because a religious organization dictates or wills it. Who are we to obey? Christ, our Head or religious organizations who have usurped that headship? And, teaching and publishing that God’s name is Jehovah or Yahweh do not follow the pattern of Christs. This is the truth and the facts and any opposers to it are simply giving an opinion and would be simply be defending the teachings of a religious organization rather than defending what Christ taught. And this is a major problem in the world today: Defense of religious organization teachings rather than defense and championing Christ’s teachings. I will always champion my Master’s teachings, patterns, and examples and there is nothing any person who is a member of any religious organization can say to me to get me to join them and do otherwise. Yet, it is an acceptance and a joining with them is what they aggressively seek. That – to me – raises high a red flag as to why? Now YOU are Christ’s body, and members individually. There is no mention of a religious organization – which is a group – being a member of Christ’s body. Yet, a monstrosity exists today in Christianity that attaches (members itself) – as a group – to Christ’s body. It resembles cancer. No group can be attached to Christ, only individuals can be attached to him. I don’t know about any of you, but in my family, my brothers and sisters would never address our Mother and Father as Robert and Evelyn. To do so would give no indication of the relationship we enjoy with our parents. No, in my family, we addressed them as Mom and Dad. In the families of other persons, they might address their parents using the expressions Mama and Papa. Now because YOU are sons, God has sent forth the spirit of his Son into our hearts and it cries out: “Abba, Father! So what spirit – and source of that spirit – is making people cry out “Jehovah” instead of “Father?” That source is not from God. So Is It Improper To Use “Jehovah” (or Any Other Name) As God’s Name? How does one not know that these made up names are not names that the Devil has given himself and has duped the world in using them to worship him? I believe this is exactly what has happened. Think about this: When we as humans make known our personal name to others, to that extent we reveal ourselves to them – we cease to be anonymous! When we make known our personal names to others it has the effect of producing a more intimate relationship between persons, thus eliminating to some degree the sense of being strangers to one another. People, in time, come to know us for what we are, what we stand for, the qualities we have, what we have done or are doing, then only do they know our “name” in the more important sense. The personal names we all carry is in reality little more than a symbol; it is not the name of real importance. In pre-Christ times, God revealed himself (not his name) to His servants and to others by the name represented by the Tetragrammaton (YHWH). But the revelation of His “name” in the true sense came through the revelation of Himself – not by a personal name – but as a Person, supreme, almighty, holy, righteous, merciful, compassionate, truthful, purposeful, unfailing in His promises. In other words, by His “reputation” and what He will prove to be: The One and Only True God. It is easy for one to say they are this and they are that or that they can do this and that, but in time it is what they prove to be is what is more important. People get carried away by the flood of wanting to know Gods name as if there is something magical about it. They rarely stop to think that it is not a literal name, but The One True God proves Himself to be. Notice that God did not reveal a name to Moses, but that He is (I am) the One True God who will prove to Israelites by His wondrous acts that He is God. It is this proving that will show his reputation (name) is true and reliable. And, The Most High God’s name (reputation) was proven as He made Pharaoh “let his people go.” Thus, God proved His reputation; his name! Since no one has ever seen God (yet people have seen Jesus) – His reality and personality – can be seen through his Son! No one has ever seen God and no one knows His literal name. The Hebrew language is a constant one. Meaning that it does not use vowels. Names fabricated from the Tetragrammaton YHWH would not be accurate or give a correct pronunciation because no one knows what vowels would be inserted. The end result would be names people would call God by that would not be His name! That Jesus NEVER used the name of Jehovah or Yahweh or any other name when addressing his God and Father, should tell us and teach us something. It should tell us that it was not a literal name that was important, but God’s qualities and reputation that was. It should teach us to be eager and want to emulate Christ’s example and obey him. Next Article Unwitting Idolaters Before God? -Meaning that Yahweh or Jehovah does, it isnt as descriptive or specific. Most of the major chrisitian religions choose to not use the tetragrammaton and most of the religions are corrupt and ungodly in there teachings which make me think they have it wrong( is Satan trying to hide Gods name?). As somone who grew up a Jehovahs Whitness(never baptized) I see them as a group that is trying to do the right thing. The proof is in the works in my opinion and while not a perfect orginization by any means they seem to produce the best works. *Sorry about above post for some reason it wasnt letting me edit what i was writing so i needed to start a new post. I travel the world. Wanting to "Do the right thing" is not owned by Jehovahs Witnesses. I have seen this is all religions, epecially Islam. (Not the Islam you see portrayed on TV or in the news). You mentioned "works." I fully understand what you mean. I am not saying that JWs are bad people, I know that is not true. But that has nothing to do with "the truth" being taught. As an African American seeing portrayals of Adam, Eve, Angels, Jesus, The Prophets, The Apostles and others as being "White" raises high suspicion since no one has seen them to portray them accurately. JWs of all races are told to blindly accept these portrayals in the same way they are told to accept using God's name as Jehovah. It is this "blind" unchallenged acceptance of something one KNOWS IS NOT ACCURATE is what bothers me. Why would a religious organization (any of them) who laud themselves as "the truth" engage in something that is false? Are the portrayals of Adam, Eve, Angels, Jesus, The Prophets, The Apostles and others TRUE or FALSE? Or is their a diversion away from asking those questions. What do you tell the householder if they ask this question? JWs are told to tell them that they are, "Just illustrations." No, they are much more than that when viewed through the eyes of persons who are not White. These images are false. Talk about "Doing the right thing." Even the Governing Body has always been White men. Is God partial? Is he racist? Of course not. (Only recently has a African American – Sam Herd – was added and I personally know why. It was because the WTBTS was under a lot of scrutinity as to why the Governing Body had been an "exclusive club" for so long). But, it is still predominately White men. No Asians, Hispanics, etc. And, what about the so-called anointed remnant on earth. These men will supposedly be kings with Christ for 1000 years and THEY have no voice within the WT organization? There is something extremely clandestine, elusive, and controlling about the WTBTS. I do not see it doing the right thing. It is doing the "White" thing and I do not mean that as anything racist. The evidence is saturated in their many illustrations and how people are to look when in the Kingdom Halls and going door-to-door. I refuse to use the expressions Jehovah or Yahweh as descriptions of God's name simply because I see no where, where Jesus used them. He referred to his God and Father in heaven as "Father." It is religious organization that is setting the rules – rules that Christ did not set – as persons using these names. It is simple: Obey God's command at Luke 9:35 to "Listen to His Son." If Christ never used such a name, neither should we. We should want to please the Father in heaven and follow the example Christ set for us and not place God and Christ second-place and elevate religious organizations to the top of them and allow them to tell us what God's name is and that we should use it. It is interesting that when teaching us HOW to pray at Matthew 6:9-10, Jesus did not use a name, he taught that we begin our prayer "Our Father in the heavens …"
Yet, other voices – once again – are teaching people to do what God or Christ had not commanded or taught: To use a name. As for me, I will do as God and Christ has directed, not as religious organization or "bulk" Christianity directs. Im very sorry to hear the racism you speak of within the JW organization. While Ive been fortunate to be part of a very loving and unracist(the brother i look up to the most is black) congregation I have seen and experianced mistreatment and shunning of people(do to them being considered bad association), which is absolutely wrong when we look at how Jesus taught us to be. Unfortuneatly people are imperfect and will always make mistakes, and be very judgemental, and even hypicritical at times. Also things vary from conregation to congragation, some are probably much worse than others. The one I used to go to was very loving and accepting. I know there are many verses in the bible that tell us to prolcaim gods name(mathew 6:9), in both the old and new testament. Jesus may have refered to god as father because he was Gods literal son, we are not. Father and God are titles that are not very descriptive. There were and still are many false Gods but Yahweh is the the supreme,original, creator God. Also there are many fathers in the world I have a physical father and a godly father. For me these titles are not descriptive enough, i like to call him by a name. In the same verse you gave at Mathew 6:9 it says "hollow be they NAME". So yes god is our father we need to make our fathers name known so people are aware what God we are following. For instance If I am promoting my father I would tell others his literal name. I believe Satan has done a pretty awesome job of hiding and defameing Gods real name, I think its time people realize what his true name is. In the end It matters more that we are imitating christ and loving and praying to our father, it doesnt matter if we call him God, Father, Yahweh or Jehovah. As for the teachings the JWs proclaim as Truth, I genuinely believe they think it is right. I think they invest a lot of time into the finding of biblical truth. Are they 100% right? probably not. I hope we can all work together as chrsitians to finf the actual truth. Also whats your fealing on the Arch Angel Michael being Jesus? I’ll answer your last question first. 1 Thess 4:16, Matthew 24:31, and Jude 9 lead me to conclude that “The Son of God” – “The Christ” is Michael. One should not say “Jesus” as Jesus was the name of the “human” (Son of Man) born on earth. It is not “Jesus” who will return as that was not his name in heaven when he was sent. It is “The Son of God” whose name is Michael who will return. The name given him by his Father in heaven as angel (Son of God) was Michael. When the one resurrected ans who ascended into heaven, did not return “home” with the name of Jesus. He would resume his heavenly name. The man Jesus, after he was baptized, realized that he lived in heaven as a Son of God before he was inserted into mankind. That name in heaven would not have been “Jesus” as that was the name given him by his human parents. It is not by chance that “Jesus” is portrayed as a “White” man by all of the so-called Christian organizations. It to mislead the world. Why? Because when Jesus ascended, he returned to heaven as his return would have been invisible, not as a flesh and blood creature. The Son of God is invisible, just like his Father is. Yet, the world fashions him and remembers him as a flesh and blood creature when that is not his present state. He is not flesh and blood. That is another reason why I am so adamant about such portrayals because they are false. Should the world claiming to believe in Christ view him as he exists TODAY as someone who cannot be seen? Only a faithless generation has to “see” images in order to believe. I am not saying that Jehovah’s Witnesses are racist. I know better than that. Yet, I remember when congregations where segregated. There is a bigger problem perhaps you are not seeing – or do not want to see. It is not about congregation to congregation but the organization in which the congregations belong to. ALL of the congregations worldwide receive and study from the same publications. Respectfully I ask you: Why would the things of God be portrayed in the likeness of ANY race among the human family especially when no one has seen them? When you “Google” Jesus, angels, etc in whose likeness are they? It is not enough to give questioners brush off responses such as “They are just illustrations.” They are much more than that and they have a very powerful impact upon people of color – like where I live in Africa – when they see them. It is a subtle “training” to revere White-people. Why else would they be there. Thus, small Black children who sit in the meetings looking at pictures in the “My Book of Bible Stories” and other publications see “White skin” and the impact upon them are the words that came out of my childs mouth. She associated White people with God. This same thing occurs on a much larger scale in places such as Africa. The people here see these same publications (not just from the WTBTS) and they are made to revere White people and associate God and Christ with “White.” This is sinister, calculated, planened and wrong. The leadership within the WTBTS are unintelligent men, they are intelligent and know this. What I am saying is that the WTBTS is no different than “Christendom” in this regard in promoting “False Images.” It is one thing to accuse the other religions of being false, but it is hypocritical when the WTBTS engages in promoting things that are false as well. You have not dealt with the issue and are avoiding it as I did when I was one of Jehovah’s Witnesses for many years: Jesus NEVER addressed God as “Jehovah.” Yet, we are supposed to follow his example and it is not imitating Christ if one calls the Most High God by ANY name that Christ did not. It is a religious organization who is “driving” this, not God and His Christ. You or no one else knows what God’s TRUE name is. Yes, the WTBTS tells you what they make it to be. But the bottom line – and all that matters (or should matter) is that Jesus NEVER uttered a name. So how can anyone know what that name is. Again, who is in charge here: Christ or the WTBTS? There is no such thing as “Biblical Truth.” The Bible is not the way, the truth and the life – Christ Jesus is. So it should be what “he” says that is what we are to cling to as truth, not the Bible or a religious organization. And, that is the problem. Many are looking to religious organizations as “authorities” rather than “Christ” as the authority. Christ called his God “Father” and a religious organization opposes Christ and says, “No, one MUST use a name.” We have a problem in Houston. Finally (and to show how misled so many are), is use of the expressions “Christian and Christians.” These are expressions Jesus NEVER used either. He never called himself by those expressions, he never called his disciples by those expressions and neither did his disciples address each other by those expressions. So what power has such a tight grip over the world that has it believing “as truth” the things Christ never taught or uttered? So if Christ did not, who is misleading men to teach and practice what Christ did not? God today is religious organization. They are being listened to and defended. Christs teachings are not defended or championed. It is religious organization that are championed as “being right”, not Christ. So then why does mathew 6:9 say hallowed be your name? why would the bible use the word name? Why is hallelujah found in revelation 19 1-6? Hallelujah literally means priase Jah which we all know is short for Jehovah. So do you believe the bible is the word of God? You say there is no biblical truth but yet you follow the words found in it about Christ, which is part of the bible. Im of the opinion that everything in the bible is there for a reason and that there is a way to make sense of it all, I believe it to be the inspired word of God and I believe it is all true. If one part is untrue then doesnt that mean the rest of it could be untrue? Its a dangerous game. I will agree with you that most if not all organized religions are bad. having said that I havnt decided on the JWs yet Im in the process of researching there view points. Have you seen there recent literature? It uses many different races in the new publications. I think they have been listening and are constantly trying to improve the organization. I do not believe for a moment the JWs are trying to use their literature to teach Africans or your daughter that the whites are superior. While at times it may have seemed that way(and turned out that way) I believe they are just trying to get Gods word out there. Like I said all the new publications use an abundance of mixed races. We are tought to forgive our brothers for the mistakes they have made at colossian 3:13. Are there not great things about the Jehovahs whitnesses, why not try to Correct there teachings and work with them. Lastly I am not baptised yet but i am to the point where i want to dedicate myself to God, If I decide against the JWs where would be a good spot to get baptised. You bring up great points, and that last sentance is very powerful. Thank you very much for your thoughts I hope to keep picking your brain. I am actually pleased and honored that you ask questions of me. I speak straight-forward without prejudice or influence of religious organizations. It is what Christ taught that is tantamont. At Matthew 6:9 one is assuming that Jesus is referring to a “name” as in a “literal” name RATHER than name as in reputation. Even “Insight Book” Volume 2, page 464 says that “Name” can mean a person’s reputation. If it was Jesus’ intent to teach us or tell us what God’s name was, he would have done so and we would have seen it mentioned and used “directly” through Matthew to Revelation. But we do not. Jesus NEVER used the name “Jehovah, Jah, or Yahweh.” He ALWAYS used Father when addressing or praying to The Most High God. That should tell us something. One could refer to the “few” instances of “Hallelujah” or “Alleluia” in the Bible. But it is reaching for what is not there. Some Bible translations to not translate it “Hallelujah” but translate the Gree word as “Alleluia.” So how does one get God’s name out of the latter? 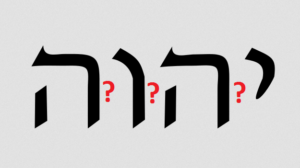 Even the Hebrew word for “Hallelujah” would be missing the vowels so how would God’s Name be pronounced? The expression “Hallelujah” NEVER appears in the New World Translation. What has been put there is “Praise Jah” only for the purpose of misleading one to think that “Jah” is a form of God’s name and it must be used. Like Jesus NEVER using a name to reference God, also we do not see the expression “Hallelujah” used by Jesus nor do we see it seeded all over the Bible and especially in the “Greek Scriptures.” Why? Because our Master Christ NEVER taught it! It is men and their religious organzations who are. And many “choose” to listen to religious organizations and do as they say and follow their direction rather than the example and direction of Christ. That is why I write on e-Prophetic.com. To “slap” persons out of this slumber. One would be safe in following Christs examples and usage of “Father” when referring to our God and Creator. It is religious organizations who are directing otherwise and I personally would rather listen to my Master and his direction and example than any human or human entity. No, I do not believe that the Bible is the Word of God, I believe Christ is. You misunderstand my thinking on this. I never said that some of Christs teachings are not in this book called the Bible. But that does not make the book IN ITS ENTIRETY the Word of God. I have simply put the book in its proper place: Not equal to or above the Christ who is the ONLY Word of God. The book men named the Bible could have been called by another name such as “The Book of Morin.” If Christ’s is speaking in it (quoted in it) I believe his words, not that of an entire book. The Most High God said “Listen to His Son” not to a book, not to Daniel, Isaiah, Jeremiah, Ezekiel, etc or a religious organization. I know when I was one of JW I was very good at articulating that there is only ONE GOD. Yet, JWs have a difficult time articulating that their is one Word of God, not two. If there is one God, there can only be one Word of God. One cannot say Christ and the Bible are BOTH the Word of God. I rely more on prayer to God through Christ for knowledge and understanding because Christ is alive and still able to teach, even though I cannot see him. And, he promised to be with his disciples until the end. (Matthew 28:20). So why should I rely on a book when I know that my Master is alive and can still instruct invisibly. Yes, I have seen the WT literature. Nothing has changed since I disassociated myself a few years ago. Even in the publications back then, they were attempting to “correct” the one race issue. But that is not my point. MY POINT is how they are portraying Adam, Eve, Angels, Jesus, The Prophets, The Apostles, etc in those publications: As persons of European decent. No one has seen those persons to portray them in the likeness of ANY race among the human family. You see the publications and you know what I am talking about. Google “Jesus” or “Watchtower Jesus” and in whose image is Jesus portrayed? (Click on the images link) Do the same for Adam and Eve. The Watch Tower minimizes this but it should not be because these images are false. And, it is the deification of the White race. For an organization that claims it is “in the truth” this is not a truthful thing to do. Most JWs have no clue where 1914 date came from. It did not come from the WTBTS. Yet, it hails itself as God’s Faithful and Discreet Slave and God’s truth comes down through it. But the 1914 date did not. My friend, to work with ANY religious organization is to “accept” what THEY teach. I cannot do that. I work ONLY for Christ and accept what HE teaches. I do not have a problem with JWs. I have lot of family members and persons I love in that organization. Like myself when I was a JW for more than 25 years, they are children who are being taught by a parent. They only do what the parent tells them. One does not fault a small child for using the N-Word. No, you fault the parent because the child is only repeating what the parent taught him. That describes the JW. In the publications, the questions are formulated for you so that you don’t have to think of questions on your own. And, the answers are provided FOR YOU in the paragraphs. On the Theocratic School, you are told what to prepare when you give your talk. In the Service Meeting, you are told how to present the material – even word for word. In other words, after years and years of this, you no longer know how to think for yourself. It is all done for you. In fact, it becomes painful to listen to others or read material that prompts you to think. I know! Thanks to God, I have regained my ability to think and reason and conclude for myself as God intended for all of us. And, not to have that thinking ability stolen away from us and being made afraid to think outside the barrier religious organizations set for so many. DO NOT get baptized in water or by any religious organization until you read the above article and examined those Scriptures carefully.